Before I became the CEO at GaN Systems, I was an executive at several enterprise-focused growth stage companies. One of the most important lessons that I learned from those years of experience is that a growth stage company is very different in its needs from an early stage startup in several key dimensions – aside from size. A common misperception is that they both require the same key resources from an investment partner. Nothing could be further from the truth. For an early stage startup, it’s all about investment and coaching – the strengths of traditional venture capital firms. Conversely, for a company in its growth stage like GaN Systems, the product-market fit has already been firmly established, multiple rounds of funding secured, and a place in the market has been earned. At this stage, attention is focused on scaling operations and market reach. While additional capital is important, invaluable business leverage is found in adding new customer access through both a collaborative corporate partnership and indirectly through the halo effect of an earned relationship with a market leader. That is what can stoke the engines of hyper-growth. The benefits of this kind of relationship are certainly not one-sided. The enterprise investor also wins in ways beyond future financial return. Savvy enterprise leaders have learned that their innovation practices and product development processes can be enhanced through well-timed investment with younger and more nimble companies. That is true only if they are well-aligned with their business goals in ways beyond mere financial return. This is the aspect of strategic investment that is about moving from a vendor-customer arrangement to an ‘equal’ partnership. For GaN Systems, we are honored to have both BMW i Ventures and Delta as our strategic corporate investors. This represents a huge vote of confidence both in GaN as a technology and GaN Systems’ approach to power transistors. These are two of the most respected global companies in their respective industries, where technical innovation in power systems plays a central role in success – both today and indisputably in the near future. Now they have chosen to extend their relationship with GaN Systems from customers to investment partners. You might be wondering how we arrived at this moment in our growth and investment strategy. 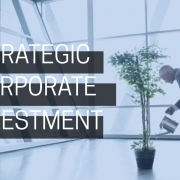 The path to strategic investment is different from traditional venture investment decisions. The journey begins with the search for the right partner – not just anyone will do. I look for partners with a strong match in terms of their market needs, their corporate strategy, their prioritization of technology innovation, and most importantly, how GaN technology and GaN Systems’ approach to GaN power transistors can uniquely benefit their products. I can’t over-emphasize to fellow executives how important it is to make wise choices about partners up front. This is a process of collaboration that can take a year or more before coming to a fruitful and profitable conclusion. Collaborative work begins with GaN Systems’ and a potential partner’s engineering teams imagining the kind of products that could create radical change in the industry, and then evolving paper designs into ‘proof of concepts’ (POCs). If assumptions are proven from a technical perspective, engagement naturally expands to the business side of the organization. Forward-thinking sales executives, marketers, and GMs are curious to investigate and determine if engineering’s results reveal an opportunity to revolutionize their side of the house as well. 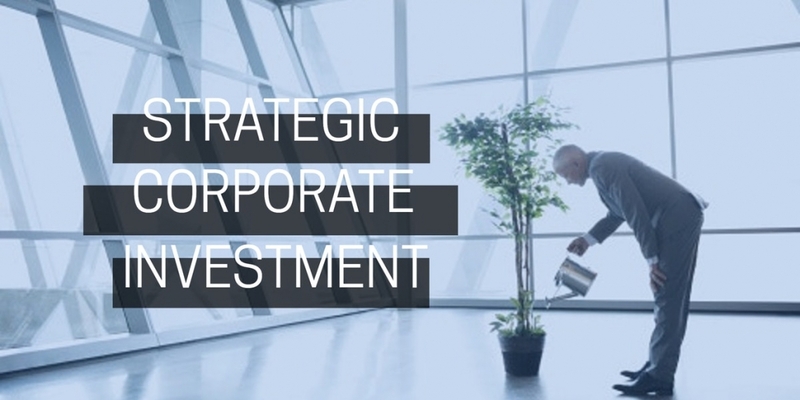 With proof in product implementation and strong business alignment, strategic investment discussion with the executive suite and board is often a natural progression. What’s unique about the prior collaborative process is that executive’s three core decision-making criteria for investment have already been proven and documented. Product impact, the opportunity for business and financial return, and the ability of the teams to work well together toward a common goal have been well documented. For GaN Systems, our strategic investment partners BMW i Ventures and Delta, as well as our customers around the world – the common goal is about changing the economics of some of today’s most demanding industries by solving their power system challenges. Using GaN technology frees them from the design limitations imposed by yesterday’s silicon-based systems. Previously unthinkable kinds of innovation become possible in industries as diverse as data centers, renewable energy storage, automotive, industrial motors, and consumer electronics. What’s also exciting is that in revolutionizing their industries, these kinds of global companies have the opportunity to even transform the world. This is the kind of change that can manifest when the tested technology and products of a growth-stage company meets the differentiated strategic capital and foresight of industry leaders. This is what has set the stage for GaN Systems next evolution as a company in partnership with corporate investment partners such as BMW i Ventures and Delta.